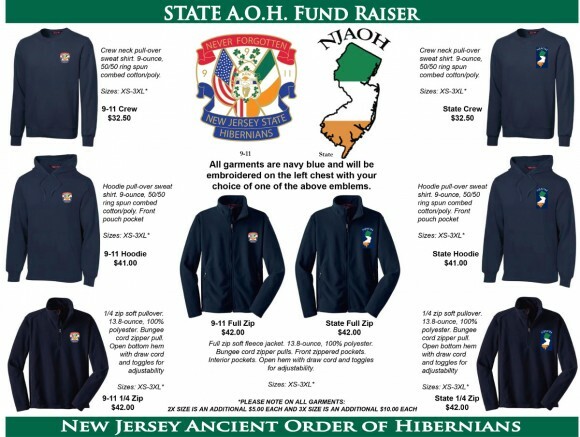 Get your NJAOH Shirts Jackets and Hoodies direct from the State Board. The NJAOH is now offering clothing items embroidered with either the official NJAOH “911” logo or a new tri-color NJ State logo. Items, prices, and ordering information are included in the attached brochure.